♦ SHOULD YOU TALK TO THE POLICE? If you or someone you care about has been arrested or is facing criminal charges, there may be a lot at stake. You may only have a short period of time to learn your rights and what steps could help you protect them. The Law Office of Anthony Janji can help you understand the charges that you are facing, and help you protect your rights with the police and in court. Criminal charges don’t always mean a guaranteed conviction. A conviction can bring penalties including court fines, probation or jail time – plus a permanent mark on your record – but you may be able to avoid these by fighting for your freedom. If you have questions about any charges you may be facing, contact Attorney Anthony Janji today. Initial consultation is free. Call us at (877) 748-5121. The Law Office of Anthony Janji is confident that the sooner you contact us and visit with Attorney Anthony Janji, you will feel confident in your choice for your legal representation. 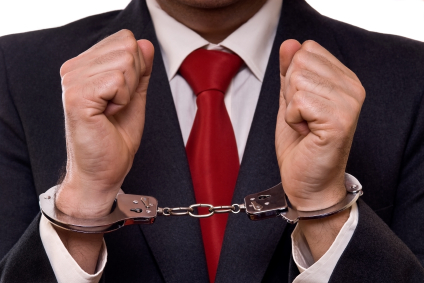 If you've been arrested or accused of a crime, your chance of success depends not only on the skills of your criminal defense lawyer, by also on your lawyer's ability to navigate the criminal justice system effectively. When it comes to criminal law cases, an experienced and effective criminal defense attorney can mean the difference between a prison sentence and reduced or dismissed charges. Even in less serious cases, a good criminal defense attorney can make a serious impact on the outcome of the case by ensuring that the rights of the accused are protected throughout the legal process. For these and other reasons, it is vital that those accused of a crime select the most competent, experienced and effective attorney available. It is usually best not to make a statement and sign nothing. Instead of talking to the police, consult with a criminal defense lawyer. You may believe this is your chance to tell your side of the story. The District Attorney will undoubtedly use any statement you make against you. What you tell your attorney is confidential. The fact that you decline to answer questions to detectives or the police may not be used against you in a criminal proceeding. If you have been accused of a crime, please contact the Law Office of Anthony Janji for a FREE CONSULTATION at (626) 300-9900.